applicants who possess Diploma in relevant branch (Elect/Mech/Civil) of Engineering. Online applications are invited from all qualified applicants on or before dead line for fill up nil vacancies for the posts of Jr. Engineer Trainee (Elect/Mech/Civil). Participants having related educational record may submit application form soon. Keen desired and wiling candidates can fill application form by visiting the official website of THDC. Hey friends get ready to pass out in written Test to get selection letter. Hired aspirants scale of pay is also mentioned in the following part of page. Other highlights in favour of THDC Recruitment are delivered in this part of page which is published by well-known web portal where you are at present. Now read each and every word of this page to get further associated content. Job notices published by THDC India Limited you can visit the official website of the organization that is thdc.gov.in. You can also make this page as Bookmark by using the key Ctrl+D. All the best now to all applicants!! 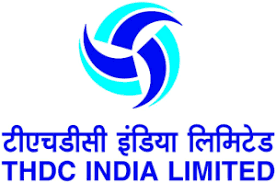 Tehri Hydro Development Corporation Ltd. Selected candidates will be placed at minimum basic pay of Rs. 16,000.00 in the pay scale of Rs. 16,000-3%- 35500 (IDA)* as Jr. Engineer Trainee. During training, besides Basic Pay they will be entitled for IDA, perks and allowances under cafeteria approach, leaves, shared accommodation for self , medical treatment for self at THDC Dispensary and Empanelled Hospitals, Provident Fund, Pension, Gratuity as per rules in force from time to time. Educational Qualification: Candidates must have 3 Yrs Full Time Regular Diploma in relevant branch (Elect/Mech/Civil) of Engineering recognized by respective State Board of Technical Education/ Examination and/ or State Departments/Directorates of Technical Education and All India Council of Technical Education (AICTE) with minimum 65% marks for General/OBC(NCL) candidates and pass marks for SC/ST/PwD/ candidates. Age limitation: Age of the aspirants should not be more than 27 years . Relaxation will be given to all reserved category candidates as 3 years to OBC (NCL) and 5 years to SC/ST. Selection Method: Selection process will be based on their performance in Written Test Only. On home page of official site go Recruitment Section and enter on link ”Online Application for the post of Jr. Engineer Trainee”. Now take hard copy and send to the right address. Message: All the visitors are suggested that they are free to write their query or problems in our comment box given below; we will try to give solution to your problem as soon as possible.